Home » Featured • Online Security • Social Media » Why passwords are not able to keep you safe in Cyber Space? Instead of remembering dozens passwords, maybe there is way to remember only half-dozen. Focus on only those accounts which are important. Always remember the passwords and details of Bank accounts, credit card information for shopping services and never forget to remember the email info. E-mail accounts are very important, because after losing the passwords with e-mail you can reset the passwords on other services such as; social media, shopping sites and more. 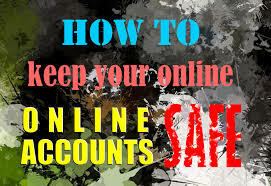 Try to remember the information for social media accounts because you need to use them regularly however; you can avoid the discussion forums information because they have less important. May be you will not mid if someone will post on behalf of you in discussion forums, but if someone will do it on your social media platform, so it can make harm for you in professional or personal life. Try to prioritize online accounts. For highly sensitive accounts, use unique password and remember then or keep it on the hard copy and place that paper on safe place. Never use auto-generated or electronically generated passwords. For rest of the accounts which are not important for them you can use password manager, but in certain cases it could not necessary. Web browsers of Apple and Google have in-built mechanisms to store the passwords for different accounts and they also update your passwords when you update your password on those sites. Even you have to sync all those to use them on multiple devices. However; in this domain the Google’s new Smart Lock feature for Android apps are very much useful if you are not limited to the web browsing. Most of the other services allow you to sign-in with Facebook ID and other social networking IDs, so instead of generating the new passwords you can use them. If you are not protecting your phone with pass-code, so someone can easily swipe your phone to get into your social media accounts and email accounts. Whereas; some of the latest iPhones, Samsung Galaxy and other high segment phones making it easier to use the phones by offering fingerprint option as the pass-code instead of four digit passwords or pattern lock. Now Apple is allowing the other app developers to use that fingerprint ID and through that you can unlock the banking apps by just tapping your figure. In upcoming Android update which is known as the M, Google is planning to make it easier for app makers to use fingerprint ID. However; Microsoft also planning to include the biometrics such as; fingerprint or iris scan in upcoming Windows 10 system. Major service provider such as; Apple, Dropbox Google, Microsoft and Facebook are offering the second layer of security in cyber space by authentication in the form of numeric code, which send as the text messages on mobile phones. After entering the regular password you can type in the received code to verify it’s you not the hacker. To avail this service you need to go into the settings of your account where you need to activate the two-step verificationauthentication. If there is way to sign-in through mobile number instead of e-mail address, so use mobile number for sign-in process. But you have to trust the service provider that they are not going to use them for marketing purpose.